Thomas Hobbes (5 April 1588 – 4 December 1679) was an English philosopher, whose famous 1651 book Leviathan established the agenda for nearly all subsequent Western political philosophy. The passion of laughter is nothing else but a sudden glory arising from sudden conception of some eminency in ourselves, by comparison with the infirmities of others, or with our own formerly. ...in statu naturae Mensuram juris esse Utilitatem. "For he that hath strength enough to protect all, wants not sufficiency to oppresse all." In a way beset with those that contend, on one side for too great Liberty, and on the other side for too much Authority, 'tis hard to passe between the points of both unwounded. For all men by nature reason alike, and well, when they have good principles. I know not how the world will receive it, nor how it may reflect on those that shall seem to favor it. For in a way beset with those that contend, on one side for too great Liberty, and on the other side for too much Authority, 'tis hard to passe between the points of both unwounded. He that is to govern a whole Nation, must read in himself, not this, or that particular man; but Mankind; which though it be hard to do, harder than to learn any Language, or Science; yet, when I shall have set down my own reading orderly, and perspicuously, the pains left another, will be only to consider, if he also find not the same in himself. For this kind of Doctrine, admitteth no other Demonstration. Art goes... imitating that Rationall and most excellent worke of Nature, Man. For by Art is created that great Leviathan called a Common-Wealth or State, (in latine Civitas) which is but an Artificiall Man; though of greater stature and strength than the Naturall, for whose protection and defence it was intended; and in which the Soveraignty is an Artificiall Soul, as giving life and motion to the whole body; The Magistrates, and other Officers of Judicature and Execution, artificiall Joynts; Reward and Punishment (by which fastned to the seate of the Soveraignty, every joynt and member is moved to performe his duty) are the Nerves, that do the same in the Body Naturall; The Wealth and Riches of all the particular members, are the Strength; Salus Populi (the peoples safety) its Businesse; Counsellors, by whom all things needfull for it to know, are suggested unto it, are the Memory; Equity and Lawes, an artificiall Reason and Will; Concord, Health; Sedition, Sicknesse; and Civill war, Death. Lastly, the Pacts and Covenants, by which the parts of this Body Politique were at first made, set together, and united, resemble that Fiat, or the Let us make man, pronounced by God in the Creation. The doctrine of Right and Wrong, is perpetually disputed, both by Pen and the Sword: Whereas the doctrine of Lines, and Figures, is not so; because men care not, in that subject what be truth, as a thing that crosses no mans ambition, profit, or lust. For I doubt not, but if it had been a thing contrary to any mans right of dominion, or to the interest of men that have dominion, That the three Angles of a Triangle, should be equall to two Angles of a Square; that doctrine should have been, if not disputed, yet by the burning of all books of Geometry, suppressed, as far as he whom it concerned was able. But all this language gotten, and augmented by Adam and his posterity, was again lost at the tower of Babel, when by the hand of God, every man was stricken for his rebellion, with an oblivion of his former language. A naturall foole that could never learn by heart the order of numerall words, as one, two, and three, may observe every stroak of the Clock, and nod to it, or say one, one, one; but can never know what houre it strikes. "Understanding being nothing else, but conception caused by Speech." But this priviledge, is allayed by another; and that is, by the priviledge of Absurdity; to which no living creature is subject, but man only. The first cause of Absurd conclusions I ascribe to the want of Method; in that they begin not their Ratiocination from Definitions; that is, from settled significations of their words: as if they could cast account, without knowing the value of the numerall words, one, two, and three. It is not easy to fall into any absurdity, unless it be by the length of an account; wherein he may perhaps forget what went before. For all men by nature reason alike, and well, when they have good principles. For who is so stupid as both to mistake in geometry, and also to persist in it, when another detects his error to him? Children therefore are not endued with reason at all, till they have attained the use of speech, but are called reasonable creatures for the possibility apparent of having the use of reason in time to come. But yet they that have no Science, are in better, and nobler condition with their naturall Prudence; than men, that by their mis-reasoning, or by trusting them that reason wrong, fall upon false and absurd generall rules. But Aversion wee have for things, not only which we know have hurt us; but also that we do not know whether they will hurt us, or not. For Appetite with an opinion of attaining, is called HOPE. The same, without such opinion, DESPAIRE. Sudden Glory, is the passion which maketh those Grimaces called LAUGHTER. And Beasts that have Deliberation, must necessarily also have Will. For there is no such thing as perpetual Tranquility of mind, while we live here; because Life it selfe is but Motion, and can never be without Desire, nor without Feare, no more than without Sense. Of all Discourse, governed by desire of Knowledge, there is at last an End, either by attaining, or by giving over. The Register of Knowledge of Fact is called History. And in these foure things, Opinion of Ghosts, Ignorance of second causes, Devotion towards what men fear, and Taking of things Casuall for Prognostics, consisteth the Natural seed of Religion; which by reason of the different Fancies, Judgements, and Passions of severall men, hath grown up into ceremonies so different, that those which are used by one man, are for the most part ridiculous to another. For Warre, consisteth not in Battell onely, or the act of fighting; but in a tract of time, wherein the Will to contend by Battell is sufficiently known: and therefore the notion of Time, is to be considered in the nature of Warre; as it is in the nature of Weather. As first a man cannot lay down the right of resisting them, that assault him by force, to take away his life; because he cannot be understood to ayme thereby, at any Good to himself. A Covenant not to defend my selfe from force, by force, is always voyd. Men looke not at the greatnesse of the evill past, but the greatnesse of the good to follow. And though this may seem to subtile a deduction of the Lawes of Nature, to be taken notice of by all men;whereof the most part are too busie in getting food, and the rest too negligent to understand; yet to leave all men unexcusable, they have been contracted into one easie sum, intelligble, even to the meanest capacity; and that is, Do not that to another, which thou wouldest not have done to thyselfe; which sheweth him, that he has no more to do in learning the Lawes of Nature, but, when weighing the actions of other men with his own, they seem too heavy, to put them into the other part of the balance, and his own into their place, that his own passions, and selfe love, may adde nothing to the weight; and then there is none of these Laws of Nature that will not appear unto him very reasonable. For the Lawes of Nature (as Justice, Equity, Modesty, Mercy, and (in summe)doing to others, as wee would be done to,) of themselves, without the terrour of some Power, to cause them to be observed, are contrary to our naturall Passions, that carry us to Partiality, Pride, Revenge, and the like. And Covenants, without the Sword, are but Words, and of no strength to secure a man at all.
" I Authorize and give up my Right of Governing my selfe, to this Man, or to his Assembly of men, on this condition, that thou that give up thy Right to him, and Authorise all his Actionsin like manner. This done, the Multitude so united in one Person, is called a COMMON-WEALTH, in latine CIVITAS. This is the Generation of that LEVIATHAN, or rather (to speake more reverently)of that Mortall God, to which we owe under the Immortal God, our peace and defence. But if one Subject giveth Counsell to another, to do anything contrary to the Lawes, whether that Counsell proceed from evil intention, or from ignorance onely, it is punishable by the Common-wealth; because ignorance of the Law, is no good excuse, where every man is bound to take notice of the Lawes to which he is subject.
" and where men build on false grounds, the more they build, the greater is the ruine:"
So that every Crime is a sinne; but not every sinne a Crime. "Fact be vertuous, or vicious, as Fortune pleaseth;"
Another doctrine repugnant to Civill Society, is that whatsoever a man does against his Conscience, is Sinne; and it dependeth on the presumption of making himself judge of Good and Evill. For a man's Conscience and his Judgement are the same thing, and as the Judgement, so also the Conscience may be erroneous. The office of the sovereign, be it a monarch or an assembly, consisteth in the end for which he was trusted with the sovereign power, namely the procuration of the safety of the people, to which he is obliged by the law of nature, and to render an account thereof to God, the Author of that law, and to none but Him. But by safety here is not meant a bare preservation, but also all other contentments of life, which every man by lawful industry, without danger or hurt to the Commonwealth, shall acquire to himself. And this is intended should be done, not by care applied to individuals, further than their protection from injuries when they shall complain; but by a general providence, contained in public instruction, both of doctrine and example; and in the making and executing of good laws to which individual persons may apply their own cases. Time, and Industry, produce everyday new knowledge. And when all the world is overcharged with Inhabitants, then the last remedy of all is Warre, which provideth for every man, by Victory or Death. To say he hath spoken to him in a Dream, is no more then to say he dreamed that God spake to him; which is not of force to win beleef from any man, that knows dreams are for the most part naturall, and may proceed from former thoughts; and such dreams as that, from selfe conceit, and foolish arrogance, and false opinion of a mans own goodlinesse, or other vertue, by which he thinks he hath merited the favour of extraordinary Revelation. To say he hath seen a Vision, or heard a Voice, is to say, that he dreamed between sleeping and waking: for in such manner a man doth many times naturally take his dream for a vision, as not having well observed his own slumbering. To say he speaks by supernaturall Inspiration, is to say he finds an ardent desire to speak, or some strong opinion of himself, for which hee can alledge no naturall and sufficient reason. So that though God Almighty can speak to a man, by Dreams, Visions, Voice, and Inspiration; yet he obliges no man to beleeve he hath so done to him that pretends it; who (being a man) may erre, and (which is more) may lie. And for Incoherent Speech, it was amongst the Gentiles taken for one sort of Prophecy, because the Prophets of their Oracles, intoxicated with a spirit, or vapor from the cave of the Pythian Oracle at Delphi, were for a time really mad, and spake like mad-men; of whoose loose words a sense might be made to fit any event, in such sort, as all bodies are said to be made of Materia prima. Christian Kings may erre in deducing a Consequence, but who shall Judge? For as there were Plants of Corn and Wine in small quantity Dispersed in the Fields and Woods,before men knew their vertue, or made use of them for their nourishment, or planted them apart in Fields,and also there have been divers true, generall, and profitable Speculations from the beginning; as being the naturall plants of humane Reason: But they were at first but few in number; men lived upon grosse Experience; there was no Method; that is to say, no Sowing, nor Planting of Knowledge by it self, apart from the Weeds, and common Plants of Errour and Conjecture: And the cause of it being the want of leasure from procuring the necessities of life, and defending themselves against their neighbours, it was impossible, till the erecting of great Common-wealths, it should be otherwise. Leisure is the mother of Philosophy; and Common-wealth, the mother of Peace, and Leisure: Where first were great and flourishing Cities, there was first the study of Philosophy. And if a man consider the original of this great Ecclesiastical Dominion, he will easily perceive, that the Papacy, is no other than the Ghost of the deceased Romane Empire, sitting crowned upon the grave thereof: For so did the Papacy start up on a Sudden out of the Ruines of that Heathen Power. For such Truth as opposeth no man's profit nor pleasure is to all men welcome. He was beloved by his lordship [Francis Bacon]... who was wont to have him walk in his delicate groves, where he did meditate; and when a notion darted into his mind, Mr. Hobbes was presently to write it down. And his Lordship was wont to say that he did it better than any one else about him; for that many times when he read their notes he scarce understood what they writ, because they understood it not clearly themselves. He was... 40 years old before he looked upon geometry; which happened accidentally. Being in a gentleman's library..., Euclid's Elements lay open, and 'twas the 47 El. libri I. He read the proposition. 'By G—,' sayd he (he would now and then sweare, by way of emphasis), 'this is impossible!' So he reads the demonstration of it, which referred him back to such a proposition, which proposition he read. That referred him back to another, which he also read. Et sic deinceps, that at last was demonstrably convinced of the truth. This made him in love with geometry. There are, it is true, masterpieces of political philosophy in the English language: Hobbes' Leviathan is an obvious example. But the true character of this debate has been empirical: the discussion of particular and practical issues, in the course of which a clash of principle and attitude is brought out, but in which the element of abstract thought is always kept in relation to an immediate and actual situation. Alan Bullock and Maurice Shock, The Liberal Tradition from Fox to Keynes (1956), "General Preface"
The bitterest of all quarrels was that in which Hobbes sought to defend himself against the accusations of atheistic and immoral teaching which haunted him throughout his life and persisted for decades after his death. Writers, theological and philosophical, many of them incapable of understanding Hobbes, united in these clamorous charges against him. The clergyman who wrote the "Dialogue between Philautes and Timothy" (London 1673) fairly illustrates the critics of Hobbes's own age, who believed that Hobbes had "said more for a bad life and against any other life after this than ever was pleaded by philosopher or divine to the contrary." The allusions of Locke and Berkeley to 'that atheist Hobbes' reflect the opinions of the generations following. ...Hobbes certainly teaches that there is a God, and that faith in Jesus Christ is the supreme religious duty. True, he also teaches that God is corporeal, but only in the sense in which, as he believes, men, also, are purely corporeal. However theoretically unjustified the doctrine, it is certainly compatible—as Hobbes holds it—with religious teaching. The ethics of Hobbes, also, inculcates all the practical duties of a Christian morality, though it founds them on a psychologically inadequate basis: the assumption that all men are radically selfish. In a word, Hobbes was unfairly treated; his reputation suffered unjustly; and—more unfortunate than all—the suspicion of his atheism kept people from the study of his vigorous metaphysics and his acute psychology. Perhaps the most influential book ever written on the characteristics of men in politics is The Prince, by the great Renaissance Italian Nicolo Machiavelli (1469-1527). Despite its enduring popularity, fascination, and authority it is extremely one-sided and unsystematic. … More systematic in its treatment of political man than The Prince, though about equally one-sided, is Hobbes' first section of The Leviathan entitled “Of Man.” Hobbes' psychological assumptions bear a remarkable resemblance to the modern school of psychology often called Behaviorism. Thomas Hobbes was the first sociobiologist, two hundred years before Darwin. No more comprehensive, tightly structured, and closely argued political philosophy exists than Hobbes set out in Leviathan. It shocks our conventional assumptions, and it is disquieting. For the sake of peace and order, religion cannot be allowed the political power and conscientious authority it has often claimed. To cure our political ills and contain the state of war we may have to submit to governments we thoroughly dislike. The most prevalent and powerful human traits of human nature are unpleasant and socially destructive. It is this insight which touches a raw nerve of truth with so many readers. Modern man, if not all mankind, is ominously close to Hobbes's account of us—competitive, acquisitive, possessive, restless, individualistic, self-concerned, and insatiable in our demands for whatever we see in isolation as our own good. It is this point of realism which almost all other political philosophies underestimate, and which Hobbes gets memorably right in his great endeavour to deliver us from a life consistent with our own natures, and of our own making; a life which would be solitary, poor, nasty, brutish, and short. Both his works [De Cive and Leviathan] were condemned by Parliament, and "Hobbism" became, ere he died, a popular synonym for irreligion and immorality. ...Hobbes was the first great English writer who dealt with the science of government from the ground, not of tradition, but of reason. ...Hobbes ...denied the existence of the more spiritual sides of man's nature. His hard and narrow logic dissected every human custom and desire, and reduced even the most sacred to demonstrations of a prudent selfishness. Friendship was simply a sense of social utility to one another. ...Nothing better illustrates the daring with which the new skepticism was to break through the theological traditions of the older world than the pitiless logic with which Hobbes assailed the very theory of revelation. Was Hobbes right? Do humans have an unquenchable desire for power that, in the absence of a strong ruler, inevitably leads to a war of all against all? To judge from surviving examples of bands and villages, for the greater part of prehistory our kind got along quite well without so much as a paramount chief, let alone the all-powerful English leviathan King and Mortal God, whom Hobbes believed was needed for maintaining law and order among his fractious countrymen. The great thinker from whom the basic ideas of what we shall call constructivist rationalism received their most complete expression was René Descartes. But while he refrained from drawing the conclusions from them for social and moral arguments, these were mainly elaborated by his slightly older (but much more long-lived) contemporary, Thomas Hobbes. Although Descartes’ immediate concern was to establish criteria for the truth of propositions, these were inevitably also applied by his followers to judge the appropriateness and justification of actions. Although longer experience may have lent some older members of these bands some authority, it was mainly shared aims and perceptions that coordinated the activities of their members. These modes of coordination depended decisively on instincts of solidarity and altruism - instincts applying to the members of one's own group but not to others. The members of these small groups could thus exist only as such: an isolated man would soon have been a dead man. The primitive individualism described by Thomas Hobbes is hence a myth. The savage is not solitary, and his instinct is collectivist. There was never a 'war of all against all'. The thought has surely occurred to many people throughout the ages: what if there is an afterlife but no god? What if there is a god but no afterlife? As far as I know, the clearest writer to give expression to this problem was Thomas Hobbes in his 1651 masterwork Leviathan. I strongly recommend that you read part III, chapter 38, and part IV, chapter 44, for yourselves, because Hobbe's command of both holy scripture and the English language is quite breathtaking. He also reminds us of how perilous it was, and always has been, even to think about these things. ...Having planted the subversive thought—that forbidding Adam to eat from one tree lest he die and from another lest he live forever, is absurd and contradictory... he acknowledged the process by which people are always free to make up a religion that suits or gratifies or flatters them. The irony here is quite remarkable: Hobbes, who would later spend years publishing and defending numerous attempts to square the circle, published his first mathematical work as part of a campaign to silence an old circle squarer. Indeed, less than a decade after his participation in Pell's battle with Longomontanus, Hobbes would find himself involved in a prolonged and bitter controversy that centered on his claims to have squared the circle, and he would go to his grave insisting that he had solved this ancient geometrical problem. It was supposedly the discovery of mathematics at the age of forty that led Hobbes to attempt to cast all of philosophy on the model of geometry. It was not until the Twelfth Century of our era that the Pentateuch as a whole was subjected to rational scrutiny. The man who undertook the ungrateful task was a learned Spanish rabbi, Abraham ben Meir ibn Esra. He unearthed many absurdities, but... it was not until five hundred years later that anything properly describable as scientific criticism... came into being. Its earliest shining lights were the English philosopher Thomas Hobbes, and the Amsterdam Jew, Baruch Spinoza. ..and ever since then the Old Testament has been under searching and devastating examination. The pervasiveness of social dilemmas has repeatedly been recognized in the great books of political philosophy. Hobbes described such a setting as a “war of all against all.” Rousseau used a stag hunt to illustrate the problem of a group needing to all work together to hunt a large animal but facing the temptation to break up into separate groups when small animals appeared on the scene that were easy to catch. A small group could catch a rabbit, but ruined the chance for the group to obtain a large animal. There are several passages in Hobbes's translation of Homer, which, if they had been writ on purpose to ridicule that poet, would have done very well. The question concerning the role of the state in preserving territorial integrity is raised by the recent events in the former Soviet Union and former Yugoslavia: why do some multinational states survive the collapse of the authoritarian regime while others do not? Except in Spain, democratization occurred until recently in countries where the integrity of the state was not problematic. The breakup of the Soviet Union, Yugoslavia, and Czechoslovakia raises a new set of issues because there democratization unleashed movements for national independence; indeed, for some political forces, democratization is synonymous with national self-determination and the breakdown of the multinational state that was maintained by authoritarian rule. Under such conditions, Hobbes's first problem - how to avoid being killed by others - is logically and historically prior to his second problem - how to prevent people within the same community from killing one another. Adam Przeworski, Sustainable Democracy (1995), "Introduction"
Hobbes's Leviathan is the greatest single work of political thought in the English language. The study of politics is a form of natural history. Thomas Hobbes loathed Aristotle’s politics, and in Leviathan followed Plato in modeling politics on geometry; but he admired Aristotle’s biology. One consequence of that “biological” style is important, not only because it was at odds with Hobbes’s—and Plato’s—hankering after political geometry. Aristotle claimed that political analysis should aim only “at as much precision as the subject matter permits.” Political wisdom cannot aspire to the precision of geometry, and must not pretend to. Aboriculture suggests an analogy: most trees grow best in firm soil with a moderate water supply; a few thrive with their roots in mud and water. It is a remarkable fact that, in a history extending over nearly twenty-five hundred years, a considerable part of the most significant writing on political philosophy was done in two periods of only about fifty years each and in two places of quite restricted area. … The Second place was England, and the period was the half century between 1640 and 1690, which produced the works of Hobbes and Locke, together with the works of a host of lesser figures. Hobbes himself had experienced this truth in the terrible times of civil war, because then all legitimate and normative illusions with which men like to deceive themselves regarding political realities in periods of untroubled security vanish. If within the state there are organized parties capable of according their members more protection than the state, then the latter becomes at best an annex of such parties, and the individual citizen knows whom he has to obey. When Hobbes referred to the dire state of human beings in having ‘nasty, brutish and short’ lives, he also pointed, in the same sentence, to the disturbing adversity of being ‘solitary’. Escape from isolation may not only be important for the quality of human life, it can also contribute powerfully to understanding and responding to the other deprivations from which human beings suffer. There is surely a basic strength here which is complementary to the engagement in which theories of justice are involved. The long life of Thomas Hobbes covers almost the whole of the most critical period alike in the growth of modern science and in the development of the British Constitution. Born in the year of the Armada, Hobbes did not die until nine years before the great Revolution which finally determined the question whether the British Islands should be ruled constitutionally or absolutely. 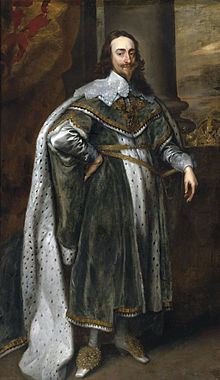 He lived through the Stuart attempt to convert England into an absolute monarchy, the Puritan revolution and great Civil War, the political and ecclesiastical experiments of the Long Parliament and of Cromwell, the restoration of the exiled line, and the beginnings of modern Whiggism and Nonconformity. Still more remarkable were the changes which came over the face of science during the same period. When Hobbes entered the University as a lad, the sham Aristotelianism of the Middle Ages was still officially taught in its lecture-rooms; before he died, mechanical science had been placed on a secure footing by Kepler, Galileo, and Descartes, the foundations of the scientific study of physiology and magnetism had been laid by Harvey and Gilbert, the Royal Society for experimental research into nature had been incorporated for more than a generation, analytical geometry had been created by Descartes, and the calculus by Leibniz and Newton, while it was only eight years after his death that the final exposition of the new mechanical conception of the universe was given by Newton's Principia. It is only natural that a philosopher who was also a keen observer of men and affairs, living through such a period of crisis, should have made the most daring of all attempts to base the whole of knowledge on the principles of mechanical materialism, and should also have become the creator of a purely naturalistic theory of ethics and sociology. The first-fruits of... renewed interest in learning was an English translation of Thucydides, published in 1628-9, for the purpose, as Hobbes said at the time, of educating his readers in the true principles of statesmanship. Afterwards, when his absolutist political theories had been fully developed, he wished it to be believed that his real object had been to warn Englishmen against the dangers of democracy, by showing them how much wiser a single great statesman is than a multitude. Foremost among his friends stands Francis Bacon, who 'loved to converse with him,' and employed him on the translation of some of the famous Essays... into Latin. This connection can be shown to belong to the years 1621-6 when Bacon, after his political disgrace, was devoting himself entirely to scientific work... The influence of Bacon, however, has left no trace on Hobbes's own matured thought. He... has no place for 'Baconian induction' in his own conception of scientific method. Bacon's zeal for experiment, the redeeming feature in an otherwise chaotic scheme of thought, is entirely alien to the essentially deductive and systematic spirit of the Hobbian philosophy. Wants and possessions might have standards and limits, but pride makes property the instrument for satisfying the lust for power and social superiority. More is already on the way to an analysis of pride that was later continued by Hobbes for the case of religious election as the instrument of satisfying pride. And More, like Hobbes, despairs of finding the cure for the diseased souls in a reawakening of the life of the spirit. 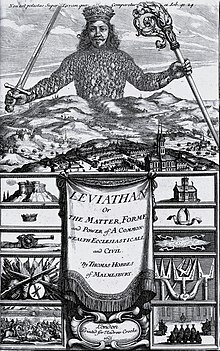 Hobbes devised the Leviathan as the external power that will repress the proud by force; and More devises the propertyless society as the external, institutional measure that will have to substitute for the cure of the souls. It is perhaps not needless to stress that the conception of this remedy is as un-Platonic as anything can be.